Ozone is a potent oxidizer, an unstable isotope of oxygen О3 which decays into atoms of oxygen. The oxygen is toxic for pathogenic bacteria, fungus, and viruses; the application of oxygen results in their death. The ozone therapy is absolutely painless and takes about 40 to 60 seconds. After the ozone treatment, a special solution called reductant is applied on the surface of the tooth. It launches the process of remineralization (recovery) of solid tissues. There are no contraindications to treating teeth and soft tissues with ozone. The casual method of treatment which means that it eliminates the cause of a disease. How the ozone therapy of teeth is conducted? Prophylaxis and treatment with the use of ozone are carried out after the professional dental cleansing, the removal of plaque and tartar, by performing an ultrasound cleaning with Prophyflex and Air Flow. The HealOzone kit can be used for prophylaxis at home. What is the cost of ozone treatment of teeth? 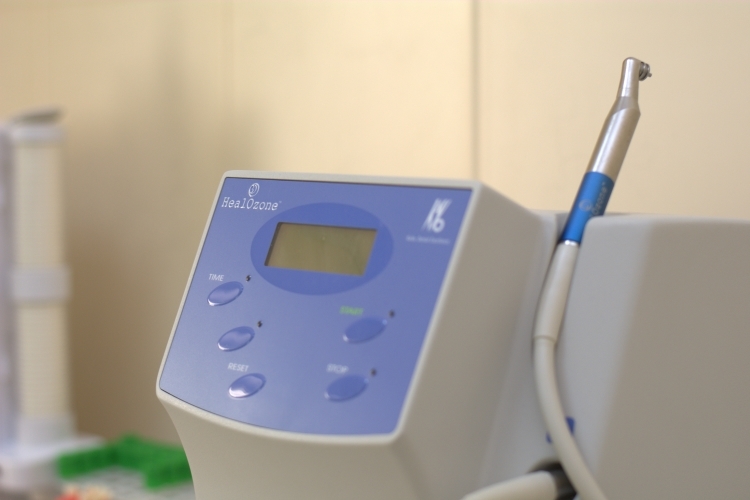 You can get the information regarding the necessity of ozone treatment, with regard to your clinical case, as well as its total cost in the course of a free consultation at the iStomatolog Center.